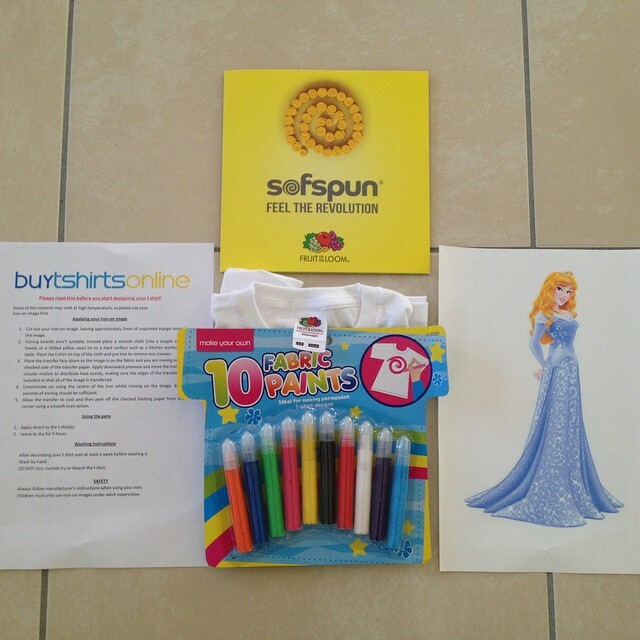 This week, the lovely people at buytshirtsonline sent Emma a Disney princess kit to review. 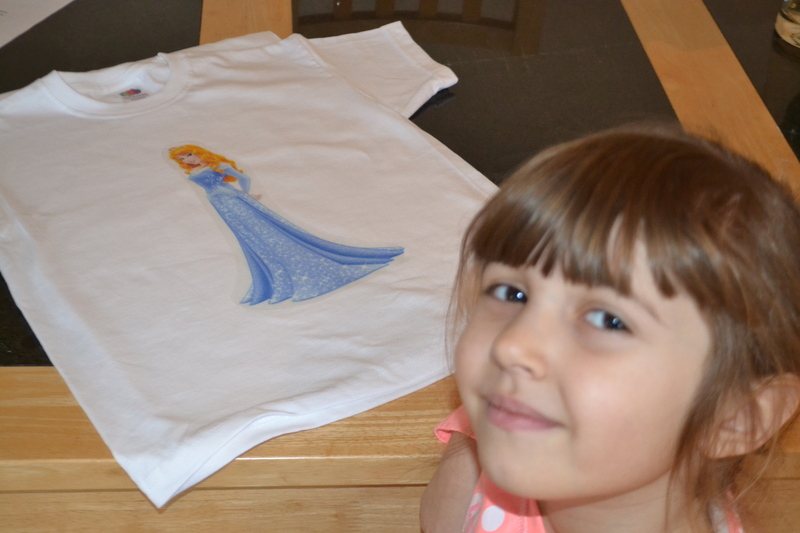 Emma is 5 and still very much into her princesses and fairy tale endings so as soon as the parcel arrived, she started pestering me relentlessly to assist her in making her own personalised t-shirt. 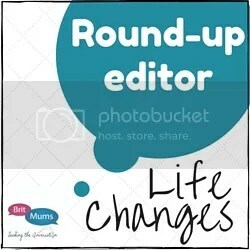 We were out yesterday but this morning we decided it was time to give our creativity a go! The instructions were clear and easy to follow: we cut out the princess shape, leaving a 5 mm edge around the picture. We used the kitchen table as a hard surface to work on and a folded pillowcase to place our t-shirt on. 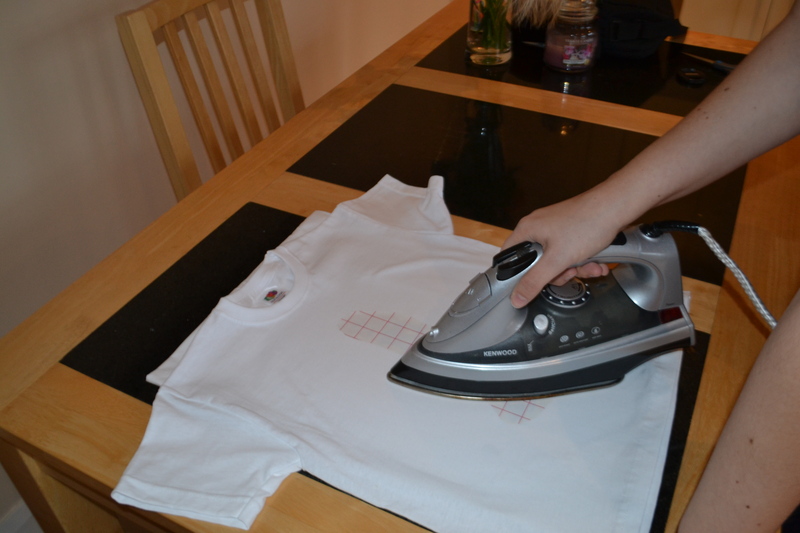 Alex got the iron out and got the t-shirt all wrinkle free. 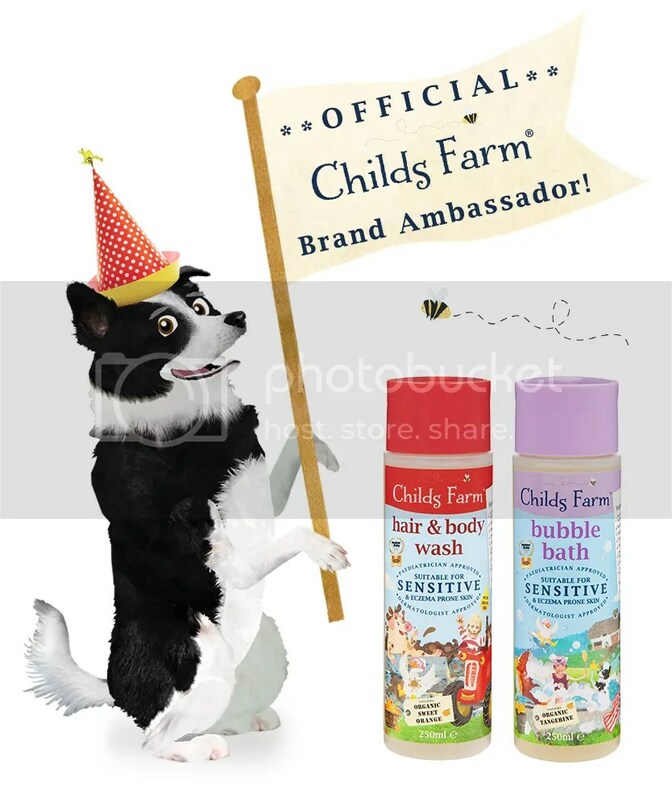 The next step was simply applying our cut out princess, face down, of course, on the t-shirt and passing the hot iron over it for about two minutes. Emma was very pleased with the result but wanted to add her own touch to it, once it cooled off. We were a bit nervous to let her loose with the fabric paints at it but luckily we had a set of fabric markers in the house and she used them safely. 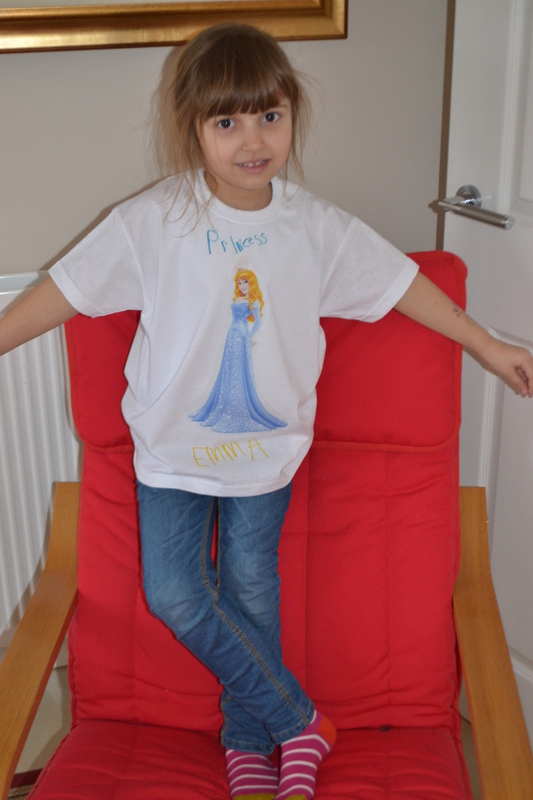 Here is Princess Emma, all chuffed with her own creation! We will keep and treasure this t-shirt, this is Emma’s very first confident attempt at writing more than her name and creating her own piece of clothing! 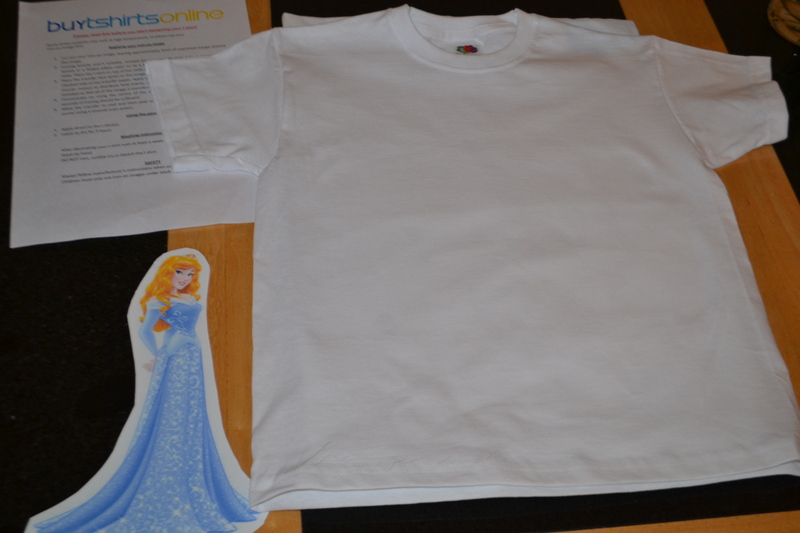 Disclaimer: we were sent the princess t-shirt kit to review. 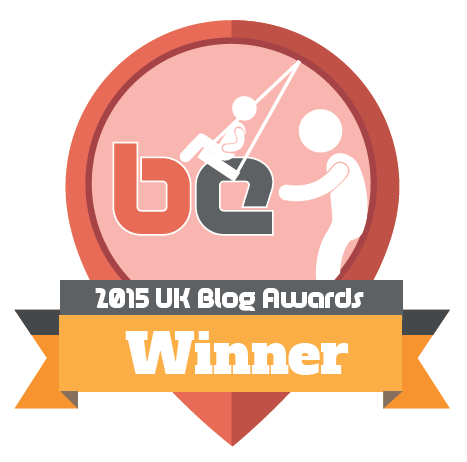 No monetary payment was made in exchange for this post. 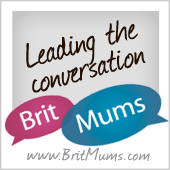 All opinions expressed above are personal and entirely our own.